See a round-up of celebrity messages for those affected by the devastating earthquake. A huge earthquake has left more than 200 people dead in Mexico City, New York Times reports. Buildings, including a school, collapsed after the quake, which measured 7.1 at its epicenter. Many deaths have ben recorded in the states of Morelos and Puebla, in addition to the capital city. Officials say that at least 26 children died when the school in Mexico City's Coapa district toppled. The overall death toll is also expected to rise. Since reports of the quake emerged on Tuesday, musicians and celebrities have been sharing their thoughts and prayers on social media. 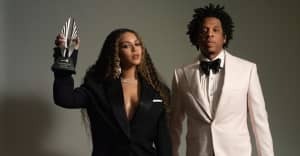 Beyoncé was among those to react, sharing a message for both Mexico and Puerto Rico, where Hurricane Maria is expected to make landfall after lashing the nearby Virgin Islands. To help the people of Mexico you can donate money to UNICEF Mexico, while Red Cross Mexico, Oxfam Mexico, and Save the Children Mexico are seeking clothes, water, and food. Mexico City-based Project Paz are also collecting donations for earthquake relief. Read on for a round-up of messages for those affected by the earthquake in Mexico. My heart goes out to the people of Mexico today. So much damage being done all around the world. Pray without ceasing. 🙏🏻 and ❤️ to Mexico.